Snow is here and the season has started. 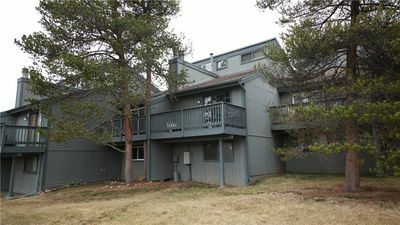 Terrific mountain views at this spacious, comfortable, well-furnished 3 bed, 3 bath WITH GARAGE condo. 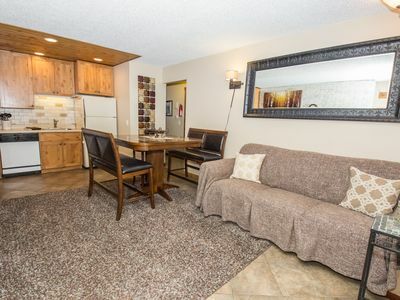 Welcome to our spacious townhouse in the beautiful Fraser River valley. Enter through the ground-floor Garage where you can pack and unpack out of the weather or offload and store bikes after a great ride. 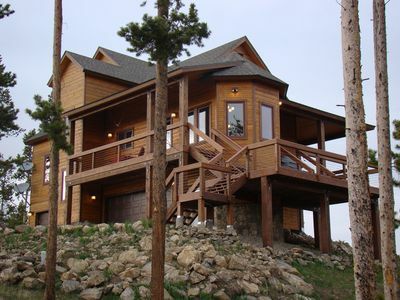 Walk up to the second floor where you will enjoy a Stunning View of Byer's Peak from the living area and Balcony with GasGrill. 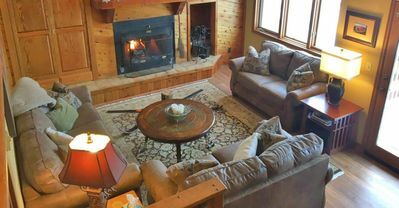 The Living area has comfortable seating, HDTV (Cable, Sonos speakers, DVD, FREE WI-FI), wood-burning fireplace (FREE firewood!) 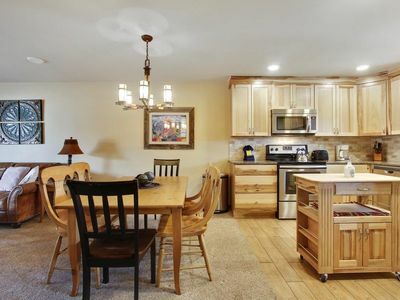 in 2-story rock wall, dining area (seats 8), and well-equipped kitchen (Fully-Stocked Pantry). Behind kitchen is a bunk room (sleeps 3) with another TV and bathroom. The third floor has the king bedroom with private bath and balcony, queen bedroom/loft with private bath, and laundry facilities. We also have a port-a-crib and aerobed. 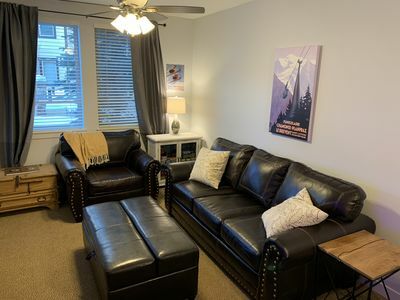 The shared, year round pool, hot tubs, and sauna are a quick walk away (100 yards), along with racquetball, tennis (in season), hoops, and workout area. 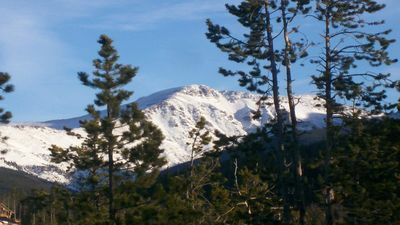 The town of Winter Park and downhill ski area are just a few miles away. 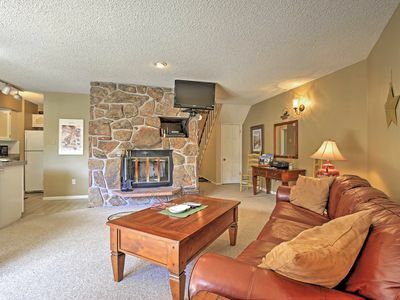 This is a great spot for one family to stretch out, or for two families to spend great time together. No noise from upstairs or downstairs neighbors. 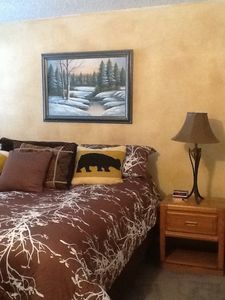 Recent upgrades include all new windows and doors (no drafts), new mattresses, and new 47-inch TV in the living room. If you want ski-in/ski-out, this is not the place for you. 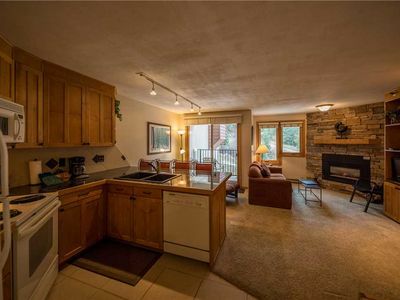 But, if you want the full mountain experience accessible to you, you will love this condo and this location! Skiing is convenient to us, but so are many other things! 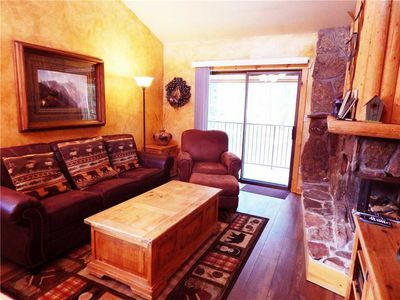 Our living room and front balcony offer stunning views of Byers peak and sunsets. In the summer, take advantage of hiking, fishing, and mountain biking. If the weather is bad, work out in the Clubhouse where you can also enjoy a swim, a soak in the hot tub, or a game of racquetball. Sometimes there is almost too much to do. 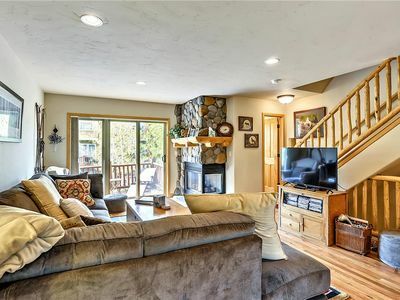 But if you want to do nothing, you can just sit back and enjoy the great view from two stories of windows in the living room in front of a crackling fire. 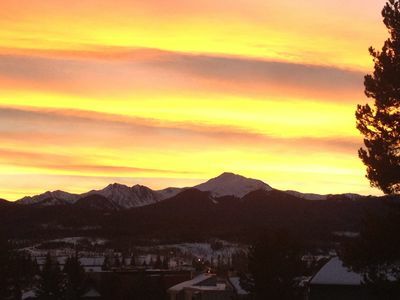 Skiing opportunities abound at nearby Winter Park and Mary Jane. Cross country skiing is also excellent with back country trails nearby and groomed trails at Snow Mountain Ranch and Devil's Thumb Ranch. Spread out with one family, or have fun with two families. 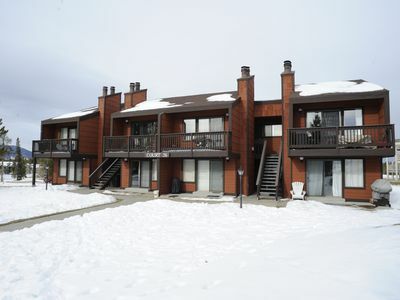 You can leave your car behind when you go alpine skiing at Winter Park (6 miles away) or Mary Jane or go into Winter Park using the convenient shuttle bus that stops 50 yards from the townhouse. You will have access to the Clubhouse(1 block away) that has year-round outdoor swimming and hot tubs, fitness area, racquetball, and tennis (seasonal). 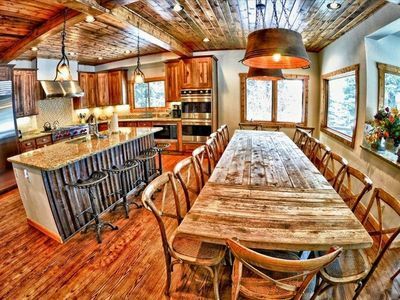 There are many restaurants to enjoy in Winter Park and just down the hill in Fraser. 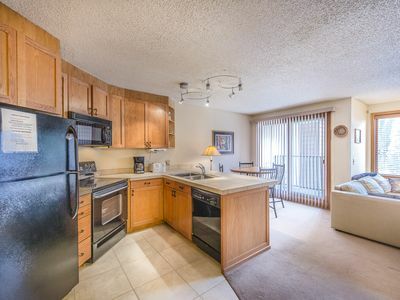 Or take advantage of our fully outfitted kitchen with fully-stocked pantry and condiments in the fridge. Groceries are available about a mile away, but you don't need to go there for flour or sugar. We have that, and more, stocked. If you do not see dates open that you need, call or email us anyway. We may be able to modify the schedule to accommodate your needs. 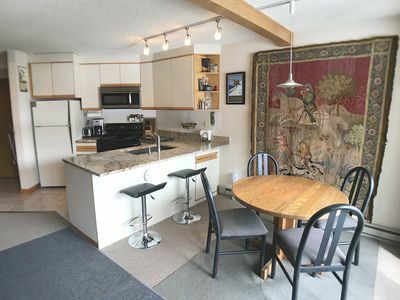 Riverside 2BR Winter Park Condo w/Hot Tub Access! 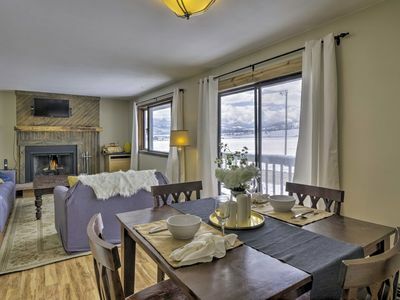 Sawmill Station 214 by WPLCo | Downtown WP | Perfect Retreat | Family Style! NEW! 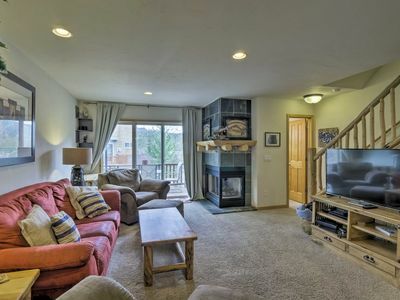 Downtown Winter Park Townhouse w/ Hot Tub! 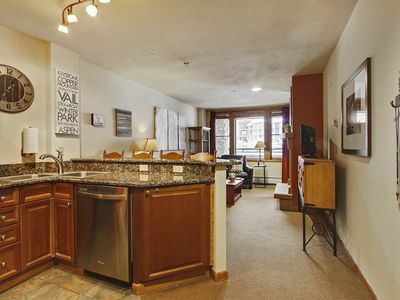 Ski in Ski Out Winter Park from this Iron Horse Resort Studio! 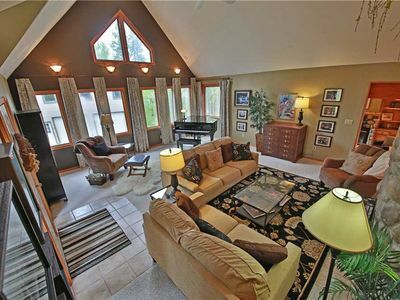 Stunning luxury townhouse w/gorgeous views.